It took Eddie Taubensee a while, but he finally got to show what he could really do. He credited his manager in Cincinnati, Jack McKeon, with allowing him to do that. In his first two full years under McKeon, the catcher Taubensee recorded career highs in games played. In his second full year under McKeon, Taubensee recorded career highs in both average and home runs. "He was the first manager to really let me play every day," Taubensee recalled recently to The Greatest 21 Days. "He believed in me and he let me play every day." Taubensee showed what he could really do in 1999. Over 126 games that year, he hit .311. He also hit 21 home runs and knocked in 87 runs. It was the year Taubensee believed he was capable of having. 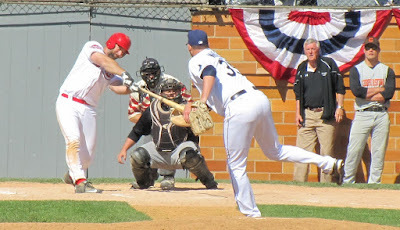 "I started off the season so hot (in 1998) and playing really well, but being the first time as an everyday catcher, I got tired toward the end of the season and my power wasn't there at the end of the season," Taubensee said. "The next year I stayed strong through the season and I put the numbers up I thought I could do. "It made me feel good," Taubensee said. Despite his success, Taubensee was nearing the end of his 11-season major league career. Back problems limited his time in 2000 and he played his final major league game in 2001. Taubensee played for three different teams through his major league career, the Indians, Astros and Reds. 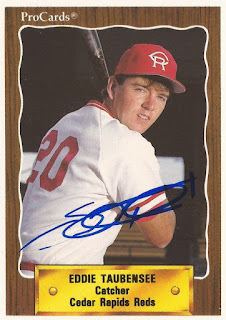 He played seven of those seasons with the Reds, the team that originally had faith enough in him to draft him. 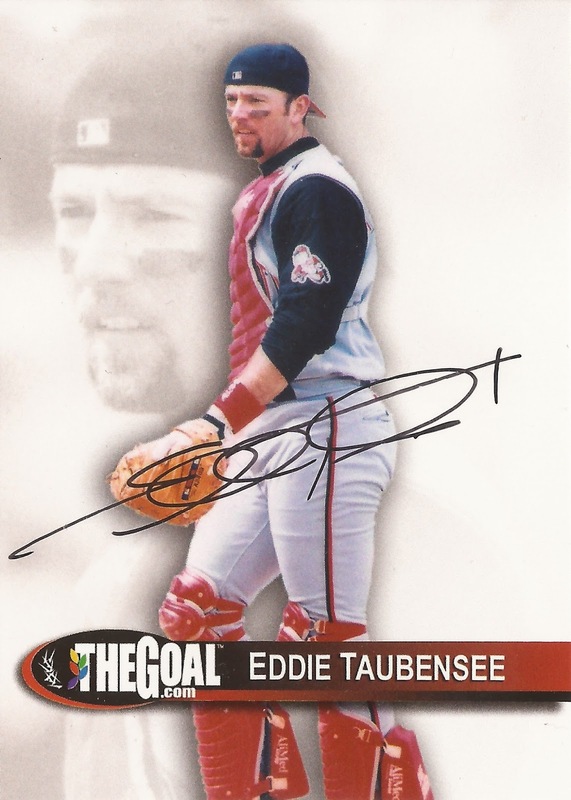 Taubensee's long major league stint with the Reds began in April 1994, traded there for two players. 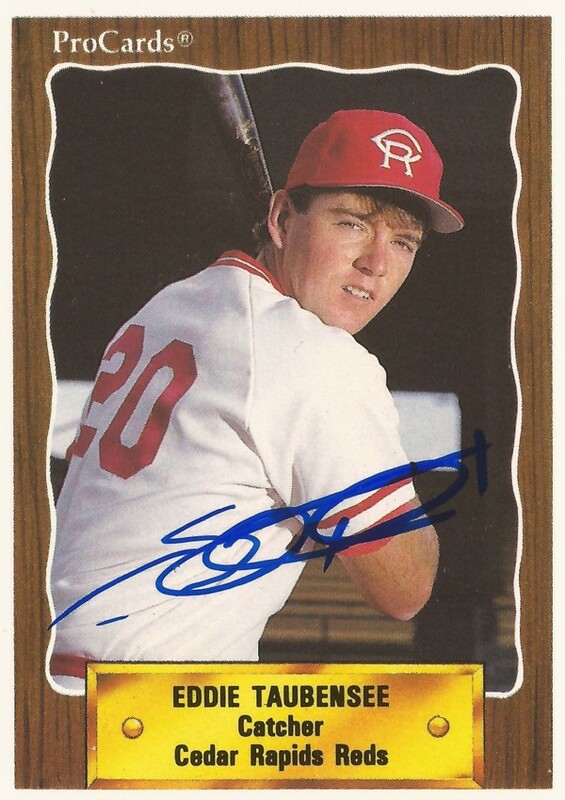 He got into 61 games for the Reds in the shortened season and hit .294. He returned for another 80 games in 1995, hitting .284. Taubensee started 1995 with the Reds' more-experienced catcher Benito Santiago getting most of the playing time. That May, Santiago went down with an injury. While Santiago was out, Taubensee took over the catching duties full time. Taubensee's average topped out at .270 late in that run. Taubensee did well enough in that two months Santiago was out to earn a platoon job at catcher. "He gave me the opportunity to fight, to battle for playing time," Taubensee said. Taubensee ended with a .280 average over 80 total games. He also helped his team to the playoffs, the Reds running to the NLCS before losing to the Braves. Taubensee's role in the playoffs turned out to be limited. The job of catcher went to the more experienced Santiago. 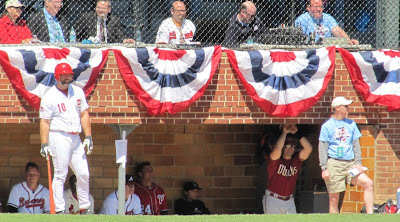 Taubensee got only two at bats, both came in late-game substitutions against Atlanta. He got one hit. "I had to look at it a couple different ways," Taubensee said of his limited playoff role. "I had to make it a positive. I was a big part of our team getting to the playoffs and obviously anything can happen in the playoffs. ... Any time you come up in the playoffs, every at bat is a big at bat." Taubensee then topped 100 games played in 1996, the second time he had done that. He hit .296 that year. The first time he topped 100 games came four years earlier with the Astros. He ended up topping 100 games played each year through 2000. His 1999 season, fueled by his regular playing time, ended up being his best. He hit 94 home runs in his career, 21 came in that season. He picked up where he left off in 2000. At one point in early May, he was hitting .342. By the end of July, though, that had dropped to .267. His back was also hurting. A disk finally ruptured while he was running to second base. He went on the disabled list for the first time in his career. He also had back surgery. "To be honest, I was never the same player after that," Taubensee said. Taubensee returned to field for 2001, traded to the team that first brought him up, the Indians, but he played largely in a backup role. In 52 games, he hit .250. But his back continued to hurt. 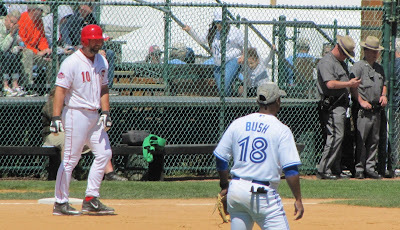 He returned for spring training in 2002, but his back hurt so bad he knew he had to move on. Taubensee said he knew there was going to be an end, but it was still tough. He was still happy with the career he had. "I didn't have any what ifs, looking back," Taubensee said. "Looking back at my career, I played hard and did it the right way and I'm happy with my results. I worked as hard as I could to be the best that I can be." 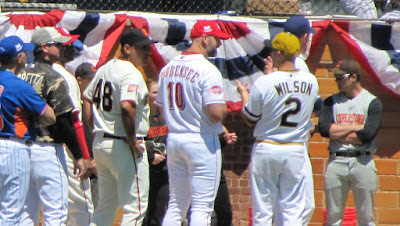 Taubensee has since stayed involved in baseball. He and his wife Rene work in a Christian ministry to professional baseball players called Pro Athletes Outreach. He also helps out as a chaplain with the Braves for their rookie ball team in Florida. "It's great," Taubensee said of continuing to work with players. "Since I threw on the uniform and I played, I understand their struggles and what they've been through, what they're going through. I earn a lot of trust with a lot of ballplayers." 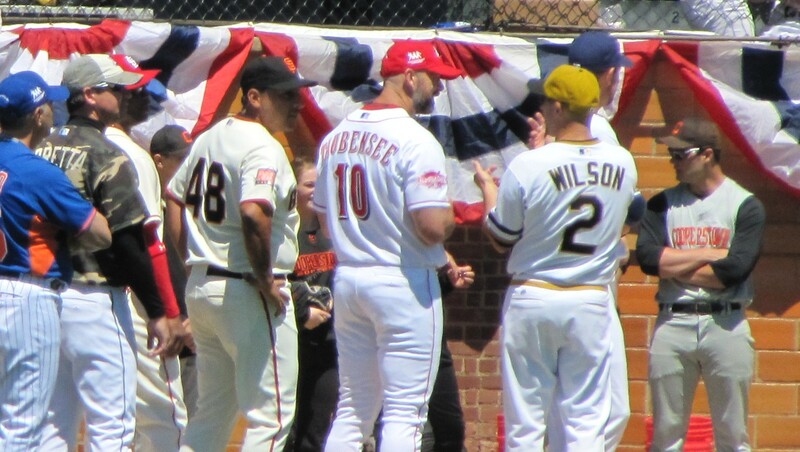 He also got back onto the field himself in May 2015, taking part in the Hall of Fame Classic at Doubleday Field in Cooperstown. Accompanying him to Cooperstown was his wife and one of their three sons. For one day at least, the 46-year-old Taubensee seemed to be back to form. 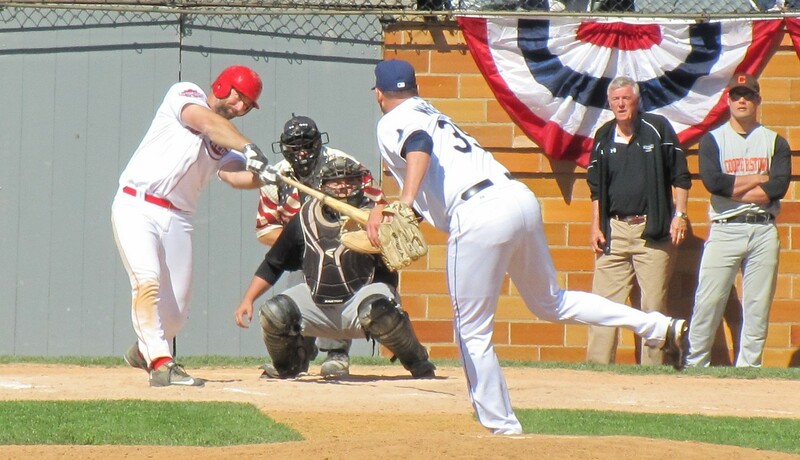 Playing against other retired players, Taubensee went 2 for 3, with a walk and an RBI. The one out he made was on a deep fly to center. "It exceeded my expectations," Taubensee said of his day back on the field. "I was a little bit nervous out there playing because Roy Oswalt was throwing really hard and I hadn't played in 15 years ... I'm pleased. I'm very happy with how I played."